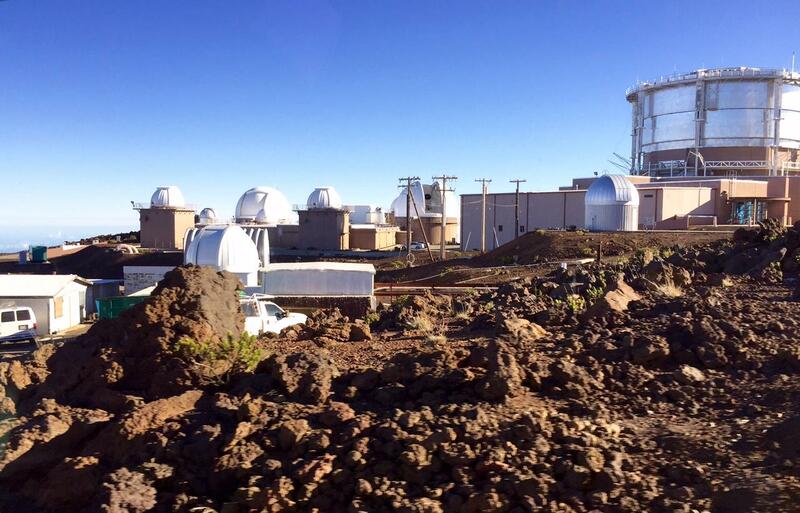 The Haleakala High Altitude Observatory Site, known as "Science City", 18.1 acres of ceded land currently owned/managed by the University of Hawai'i. Exploring the controversy around telescope construction on Maui's Haleakalā. The sun is already hot here ten thousand feet in the air---clouds ring Haleakalā at the inversion layer about 3 thousand feet below us. Here at Haleakalā High Altitude Observatory, HO, construction is underway for the Daniel K Inouye solar telescope, or DKIST. Brett Simison, the DKIST construction manager, says the structure of the telescope is 90% to its full height already, even though a lawsuit challenging its validity remains undecided in Hawai‘i’s Supreme Court. Kahele Dukelow, of UH Maui and fellow cultural practitioner, Trinette Furtado were among the estimated 200 who held a vigil at the DKIST baseyard recently, preventing the delivery of construction materials. 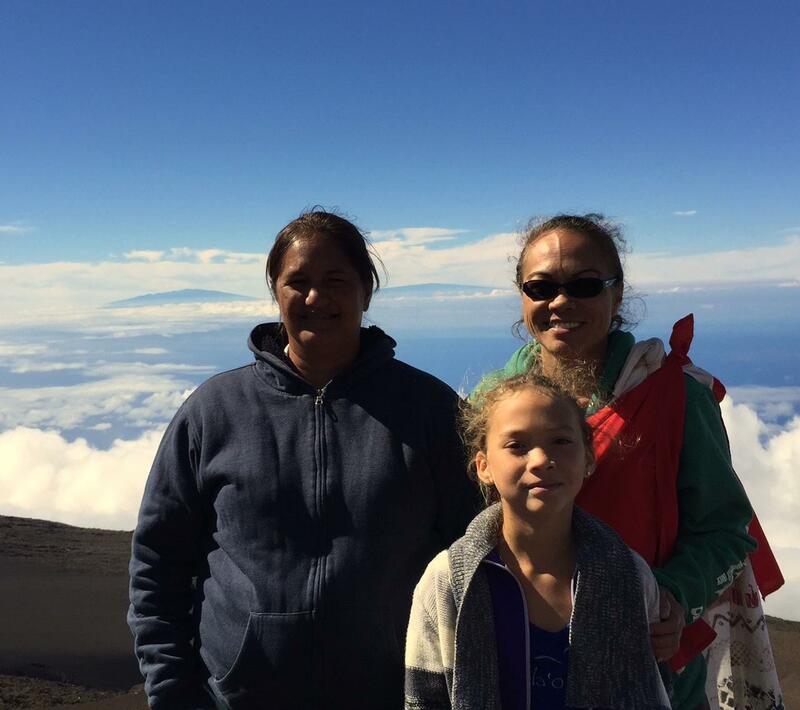 Haleakalā is a sacred mountain to Hawaiians, a storied place rich with history and legends. Some feel it has already been desecrated by the establishment of the University of Hawai‘i’s Science City with seven observatories already in operation. 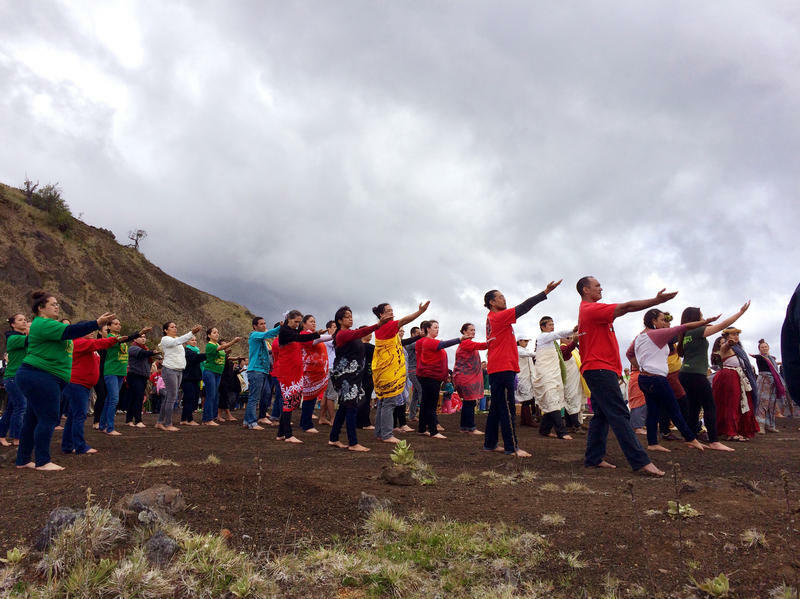 The group, Kilakila o Haleakalā has been protesting the DKIST for over ten years. Now that the case is before the Hawai‘i Supreme Court. In December 2010, the state Board of Land and Natural Resources issued a permit allowing construction to begin. That permit was revoked, because it was issued before a required contested case hearing. That hearing was held but the hearing officer was disqualified due to ex parte communication from a representative of Senator Daniel Inouye. In 2012, a second hearing officer recommended granting the permit . The DKIST broke ground in December 2012. In response to Justice Rechtenwald’s question regarding the concept of cumulative impact, UH attorney Lisa Munger asserts the EIS is informational only and does record objections to the DKIST project, as well as other facilities on Haleakalā . Records show ongoing meetings. In 2008, for example, National Science Foundation representatives met with representatives of OHA, Kilakila o Haleakalā, the state Historic Preservation office, the National Park Service, and others for input before proposing the solar telescope. Minutes show native Hawaiian attendees repeatedly voiced concern over not being heard. In the supreme court hearing, justices asked why mitigations arrived at after years of consultation do not satisfy the appellant . More on that in the next installment. Get more information about the Daniel K. Inouye Solar Telescope . Protests have once again delayed construction of the Thirty Meter Telescope atop Mauna Kea. Building was slated to resume Wednesday, but a clash between law enforcement and protesters blocking the road, prevented construction crews from reaching the site. HPR’s Molly Solomon has more. Thirty Meter Telescope Observatory Corp.
Hawaii Governor David Ige announced his support of the controversial Thirty Meter Telescope and believes the project may proceed with construction. He also laid out his plan for future development on Mauna Kea, calling on the University of Hawai‘i to be better stewards of the land. HPR’s Molly Solomon reports on reaction to the Governor’s remarks. This is not simply a story of religion versus science. Activists consider the construction of a giant telescope on the island of Hawaii to be a desecration of their sacred land.